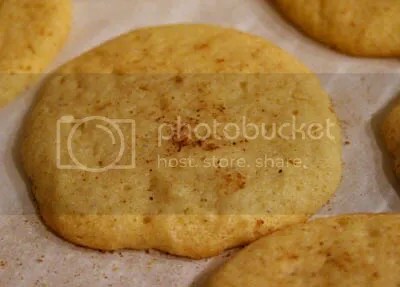 Like these Eggnog cookies we baked the other night. They were a big hit in this house, as the fast-emptying cookie plates can attest. They are real easy to make and fast too as the dough does not need any refrigeration.Which means we did not have to wait around for hours but could satisfy our cravings almost immediately. Preheat the oven to 300F and line baking sheets with parchment paper. Mix the flour, baking powder, salt, cinnamon and nutmeg in a bowl and set aside. In a separate bowl beat together the sugar and butter until light and creamy. Mix in the egg yolks, eggnog and vanilla on medium until nice and smooth. Gently fold in the remaining ingredients until everything is just combined. Alexander created an eggnog frosting the next day to drizzle over our second batch of cookies for some added decadence. Just cream a little softened butter with powdered sugar and mix in a little eggnog, then drizzle over cooled cookies. 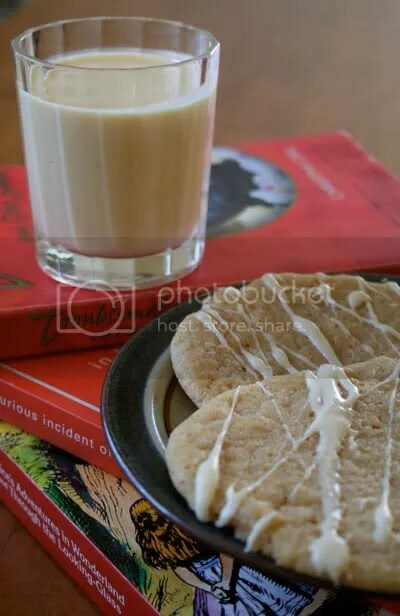 These cookies has a delightful chewy texture and are great on their own or accompanied by some warm milk or hot chocolate.